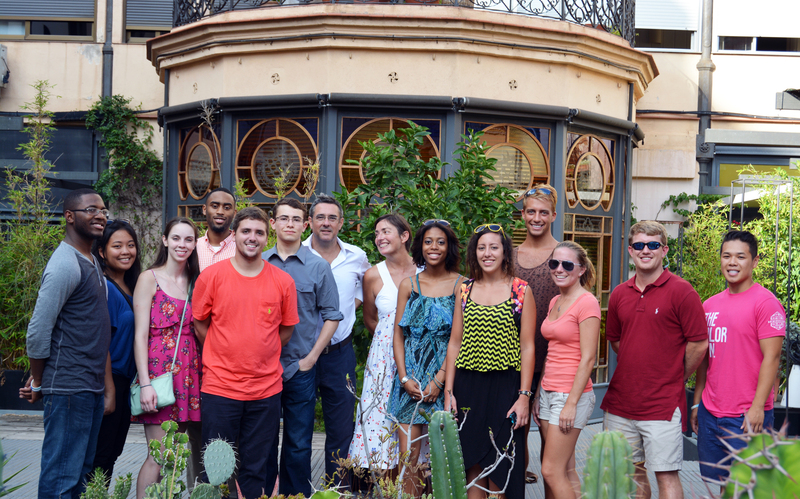 “The BAC fall 2014 semester end was celebrated with the final studio review held on December 2nd. Clemson and Texas A&M students presented the final projects to a panel of five jurors, including invited architects Marcel Erminy and Dani de Torres, and professors Miguel Roldan, Toni Montes and Jordi Mansilla during the morning and early afternoon sessions. Projects dealt with the topic of interculturality in the urban context of the city of Barcelona. Following the formal presentations, open discussions of projects were held with a panel of invited local architects. Congrats all for your good work! Another wonderful semester has arrived to the end. To all our students, we hope that you have enjoyed your independent travels. Thank you again for your great work, efforts and good energy during all semester. Fall 2014 BAC Lecture Series as a part of theory seminars for our Clemson University and Texas A&M University programs. 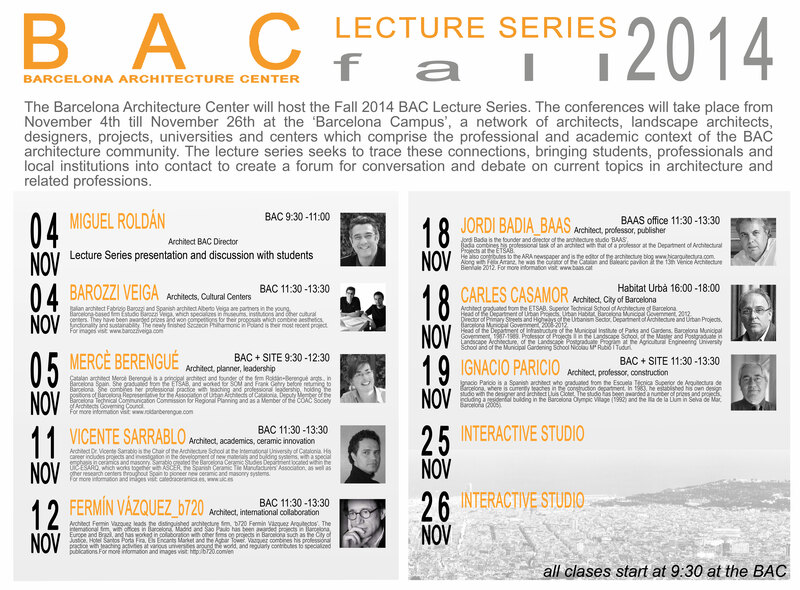 The conferences will take place from November 4th till November 26th at the ‘Barcelona Campus’, a network of architects, landscape architects, designers, projects, universities and centers which comprise the professional and academic context of the BAC architecture community. The lecture series seeks to trace these connections, bringing students, professionals and local institutions into contact to create a forum for conversation and debate on current topics in architecture and related professions. 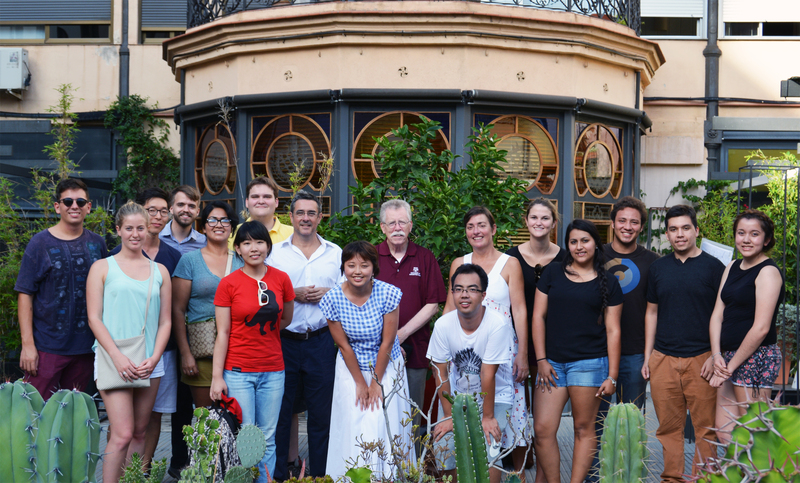 We have welcomed our fall 2014 students from Texas A&M University and Clemson University at Miguel Roldán’s office past week. We were honored to have with us Dr Elton Abbott, Assistant Dean for International Programs from Texas A&M University. All ready for tomorrow’s official fall 14 opening. 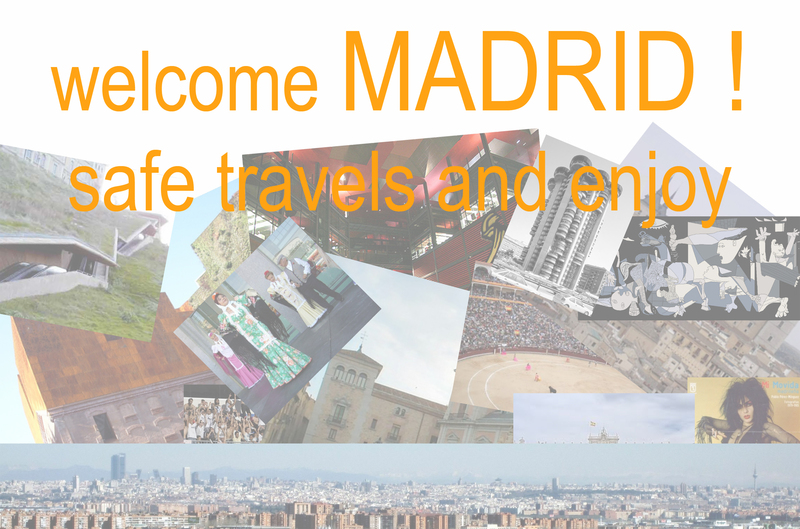 Have a great semester in Barcelona all!